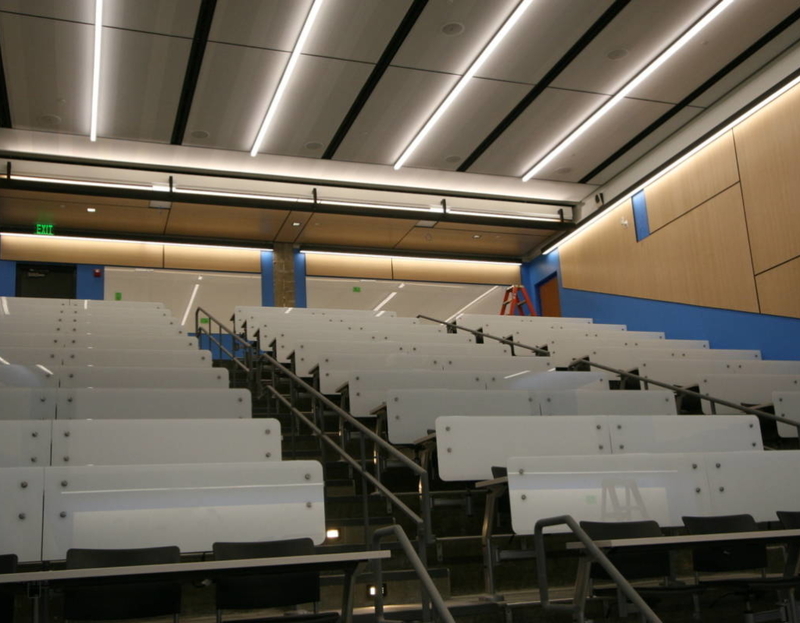 Interior renovation of two lecture halls with updated lobby and new study area. The lighting design includes all LED luminaires. Electrical design included power, lighting, and fire alarm systems.